SUPERMAX seem like forming ascending triangle on MACD indicator. 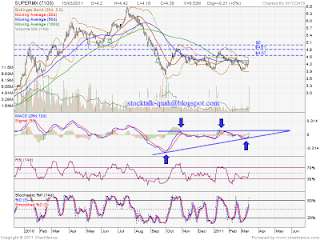 If able break up the triangle, it will retest RM4.57 , RM4.81 resistant level & RM5.00 psychology level. 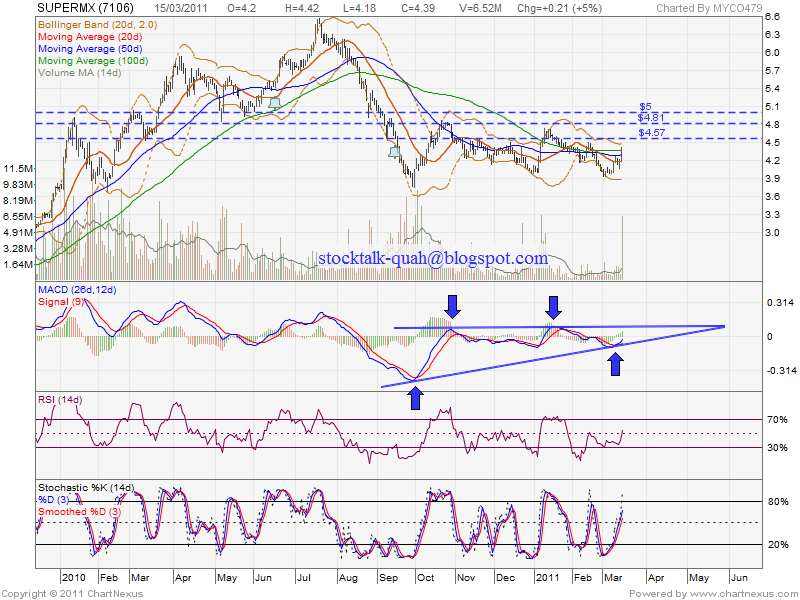 If retrace down, may retest RM4.16 & RM4.00 support level.